You want to send a gorgeous box of Pong Cheese to a friend or loved one but you’re not completely sure if they said they liked goat’s cheese or not or whether they said blue cheese was their idea of heaven or hell. Well dont worry because now you can send them a Pong Gift Voucher Card and let them choose their own! You can send them a lovely message too and they’ll receive a card with a voucher code inside which they just need to enter in the Checkout once they’ve made their selection to get the amount discounted from their order. The Gift Card will expire and unspent funds thereon will be forfeited if not used for purchases for twenty-four months. 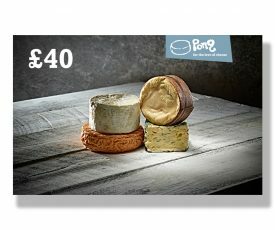 Gift Cards can be used as full or part payment for any goods purchased on www.pongcheese.co.uk. The amount of funds shown on the card must be used in one order only. Funds on Gift Cards cannot be redeemed for cash at any time. Goods paid for with the funds on the card will not be refunded but if necessary will be replaced and otherwise will be subject to our normal terms and conditions. To check the funds available on your Gift Card, simply take call us on 08447 453065. We cannot replace the Gift Card if lost. Please treat the Gift Card as you would cash. 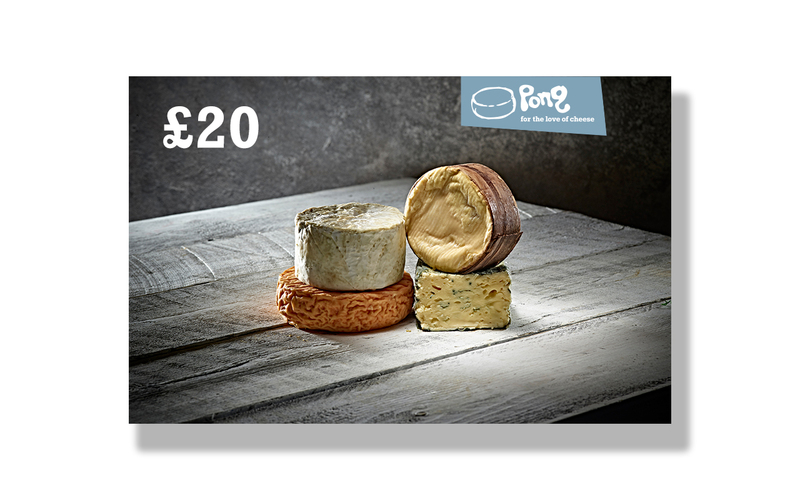 This Gift Card is issued by Pong Cheese Ltd.